According to a recent study by Vietnamworks, Ho Chi Minh City has the highest monthly average salary in Vietnam at US$ 456 (VND 10.37 million), 38 percent higher than the national average. The data was compiled from 4.7 million job applications and 95,000 job postings in 2017 on Vietnamworks, an online recruitment platform. 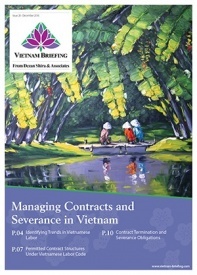 As per the report, 59 percent of monthly salaries ranged from US$ 251 (VND 5.7 million) to US$ 500 (VND 11.37 million). HCM City led with a minimum monthly average salary of US$ 456 (VND 10.37 million), 38 percent higher than the national average. Da Nang, central Vietnam’s economic hub ranked second at a monthly average at US$ 452, followed by Binh Duong, Bac Ninh, and Hanoi at US$ 444, US$ 421, and US$ 407 respectively. According to the report, recent graduates have high expectations compared to experienced and senior professionals. 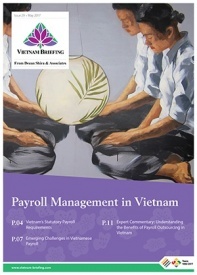 Around 72 percent of new graduates earn between US$ 251 to US$ 500 (VND 5.7-11.4 million) per month. However, jobs with monthly salaries ranging from US$ 701 to US$ 1,000 (VND 15.9-22.6 million) attracted the highest number of applicants, which highlights the high expectations of recent graduates. New recruits job openings account for only 6 percent of the listed openings, which makes it very competitive for graduates. Experienced professionals tend to be better informed about the average salaries in the market. Most of the experienced applicants view jobs with monthly salaries US$ 701 to US$ 1,000, but are still comfortable with lower than average salaries. The monthly range varies a lot, from USS$ 251 to US$ 1,000, and jobs for experienced professionals account for the majority of the job openings at 68 percent. Expectations of management-level professionals vary based on location. Candidates in Ho Chi Minh City, Hanoi, Binh Duong, and Quang Ninh apply for jobs with an average monthly salary of US$ 1,000 to US$ 2,000 while Da Nang residing candidates apply for jobs with lower monthly averages of US$ 700 to US$ 1,000. For managerial positions, 60 percent of the companies are comfortable with monthly salaries above US$ 1,000 per month (VND 22.7 million), while 15 percent of applicants at the managerial level were paid a monthly salary above US$ 3,000 (VND 68 million). Monthly salaries from US$ 501 to US$ 700 attracted the highest number of applicants from the administrative, clerical, and production industry. Industries such as accounting, media, advertisement, marketing, architecture, construction, and customer care accounted for the highest number of job applicants with a salary range of US$ 701 to US$ 1,000. Salaries in Vietnam are rising faster than any other Southeast Asian country, as per a survey by employment website Jobstreet.com. The average annual growth rate in Vietnam stood at 20 to 24 percent, compared to 14 to 20 percent in Indonesia, Thailand, the Philippines, Myanmar, and Singapore. In 2017, management and executive salaries grew the fastest at 26 and 35 percent respectively. This trend will likely to continue in 2018 as well. Overall recruitment demands in Vietnam will continue to grow as foreign investment pours in and domestic and foreign companies continue with their expansion plans.